The developers behind a promising-looking new action side-scrolling indie game that's about to launch on the PS4 have come from seemingly everywhere. 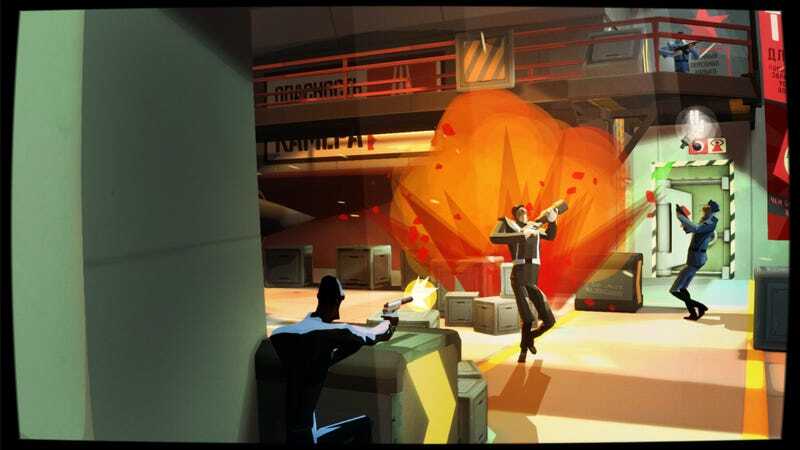 Their team is composed of developers from LucasArts, Pixar, Rockstar, Gearbox, Epic and other studios who have come together to make their first game, CounterSpy, out of the new San Francisco-based studio Dynamighty. After partnering with Sony to bring the game to PlayStation, the team grew to just 12 developers. We have four of them here today to answer any questions you have, live, at noon eastern. CounterSpy launches tomorrow (August 19th) on PS4, PS3 & PS Vita platforms (Aug 20th in EU) for $14.99 and is both Cross-Buy with Cross-Save support. Update: It's over. You can read the questions and answers the lead developers at Dynamighty replied with down below. Thanks to everyone who participated! If you'd like to participate in your own live interview with Kotaku readers, let us know via email.